Almost half a century over these memorable words were spoken by the Nation’s visionary first Prime Minister, truth is that of this “Rich Country” is still inhabited, if not by “starving people” – thanks to the Green Revolution – but by people shackled by the bands of ” Superstitions and deadening custom and tradition” especially in the living core of this great sub-continent spread over more than 700 000 villages and habitats.Unless these shackles are broken, Nehru’s vision of progress through making friendship with science, Science will still remain as a toy for the elite and exploiting tool for a few. Spread of scientific temper in society is much more than the spread of science or technology. Scientific temper is neither a knowledge about information or facts though it promotes knowledge, nor is it rationalism although it promotes rational thinking. Scientific temper is an attitude of mind which calls for a particular outlook and pattern of behaviour. It is of universal applicability and has to permeate through our society as the dominant value system powerfully influencing the way we think and approach our problems – political, social, economic, cultural and educational. approximation to truth at that time, and question what is incompatible with such knowledge; and that one should from time to time re-examine that basic foundation of contemporary knowledge. The method of science, therefore, constitutes a regenerative process for collecting information and processing the collected information to create meaningful patterns leading to an ordered understanding of nature of man himself, his natural and social environment. 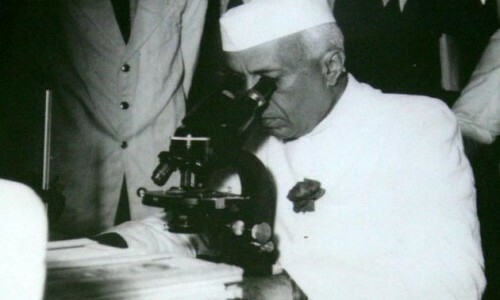 In this sense, the method of science encompasses all aspects of communicable human knowledge and cuts across all artificial compartmentalisation like natural science, social science, applied sciences, etc. Keeping this in view MANS undertakes many programs to promote scientific attitude especially among the rural population MANS has a vision to promote scientific attitude in all sections of the society.